In the 2nd half of the 16th century relations between England and Spain had deteriorated so much that in 1588 Philip II of Spain attempted to invade the British Isles. The British government was engaged in preparations for the defense. Everywhere tested the combat readiness of the militia, weapons and armor repaired, replenished the arsenals, the stored provisions. For the protection of England have been recalled veterans who served in the Netherlands. 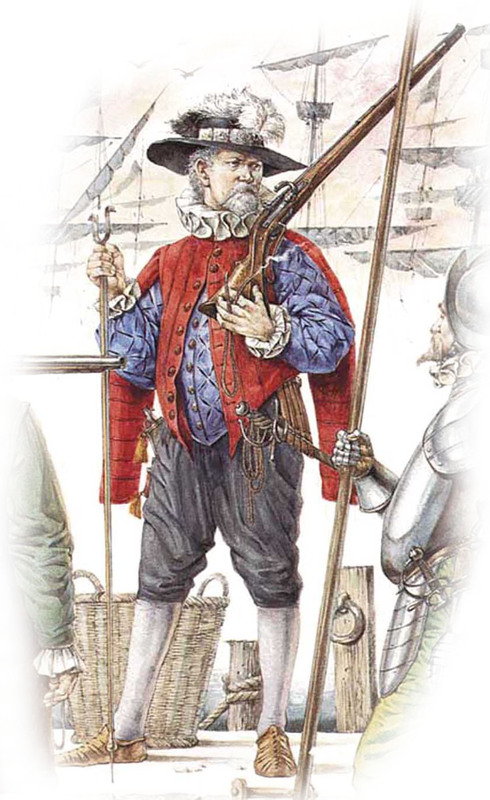 Musketeer veteran is broad-brimmed hat and white feather, which has just come into vogue, so over the next century to become the main musketeer hat. As outerwear quilted doublet and a red cape with drop sleeves. On his feet are short breeches and stockings. Heavy emphasis is equipped with a musket to shoot. The confrontation between the two powers has been reduced mainly to a series of naval battles in the English Channel between the Spanish "Invincible Armada" and the English fleet. 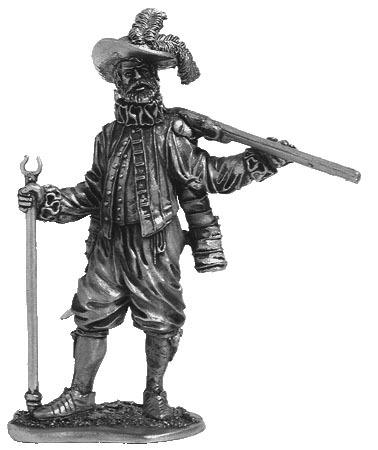 Notify me of updates to The English musketeer on the Dutch service. Second half XVI centuries.